Arizona State University and University of New Mexico students joined forces to form one of 19 teams of college students from throughout the world selected to compete in the 2013 Solar Decathlon. 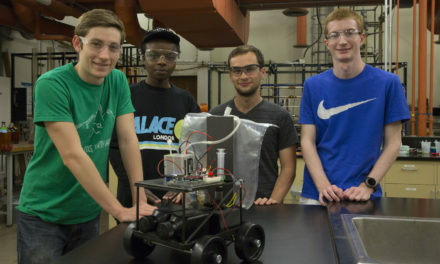 The competition sponsored by the U.S. Department of Energy challenged teams to design and build innovative, affordable, sturdily crafted and comfortable solar-powered houses that produce as much energy as they consume and incorporate other sustainable-living features. Twenty-three current and former ASU students – from The Design School in the ASU Herberger Institute for Design and the Arts, the Ira A. Fulton Schools of Engineering and the School of Sustainability – were part of the ASUNM team. 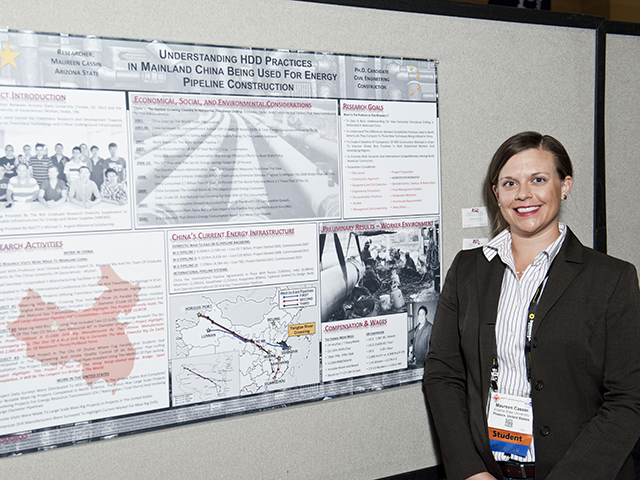 Three ASU faculty members were among the team’s faculty mentors. The team produced a structure named SHADE, for Solar Homes Adapting for Desert Equilibrium, using building materials and energy systems that are particularly effective and sustainable in a Southwestern desert environment. 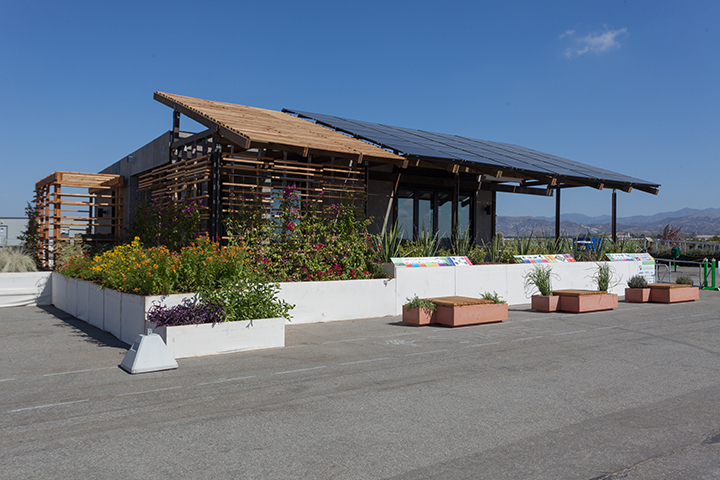 SHADE won fifth place in the architecture category and sixth in the engineering category of the Solar Decathlon competition, which concluded with a more than weeklong public exhibit that attracted thousands of people to the Orange County Great Park in Irvine, Calif., in October. After the event in California, the house was transported to New Mexico, where it has since been on display at the Mesa del Sol community in Albuquerque. But it has recently been returned to Arizona, where it will be on public exhibit for the foreseeable future at the PHX Renews site at Central Avenue and Indian School Road in Phoenix. PHX Renews is an initiative by the city and the Keep Phoenix Beautiful organization to spotlight and demonstrate sustainable living practices in the urban desert Southwest. 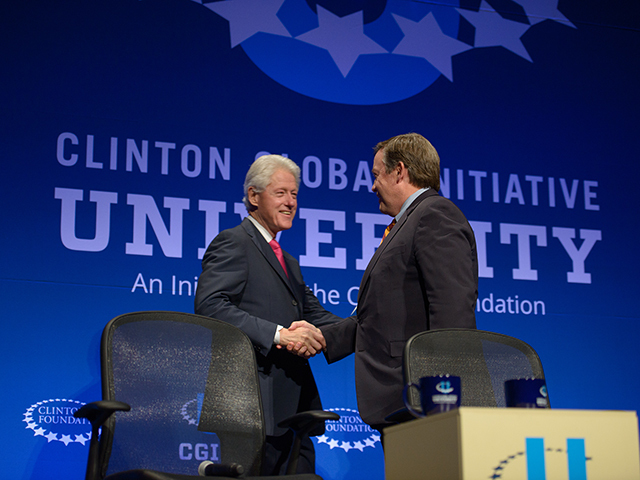 The house was one of the focal points of activity during the Clinton Global Initiative University conference hosted by ASU March 21–23. The event led by Chelsea Clinton, vice chair of the Clinton Foundation, and former President Bill Clinton brought about 1,200 students and others from around the world to focus on action plans for progress on global social issues. Many of the students gathered at the PHX Renews site on the final day of the conference to participate in the Clinton Foundation’s Day of Action. There they took part in a community service project in support of the PHX Renews effort to promote sustainable land use on public spaces. The SHADE structure was used as a staging point for the Day of Action project. Beyond a role in the Clinton Foundation event, the SHADE team wants its house to have a significant long-term impact. “With the house coming back to Phoenix, I hope that many more ASU students and faculty will get involved in the project,” said architect Phil Horton, a faculty associate in The Design School, and one the team’s mentors. “Even though we completed the project as a relatively small team, the house is the property of the university, and we want everyone to feel some sense of ownership and engagement with the work,” Horton added. Horton noted that several team members who have worked on the SHADE project from the start were back on the job at the PHX Renews site, reconstructing the house before the weekend of the Clinton Global Initiative University conference. “This really has been my life for the past two years,” said Christensen, who was primarily involved with the architectural and structural design of the house and with its construction. Team mentors Matt Fraser and Kristen Parrish, faculty members in Ira A. Fulton Schools of Engineering, said the team’s hard work and skill were reflected in its fifth-place and sixth-place rankings against experienced and formidable Solar Decathlon competitors. Students say the lessons they learned from the Solar Decathlon experiences were worth the arduous effort. Dealing with project organization, logistics, finances and business operations was a daunting challenge, said Gian Gonzalez, a construction management student who received the Jason McElroy Memorial Scholarship. But the reward came in “getting to see the entire design-and-build process take shape,” enabling the group of architecture, design, construction and engineering students to see things from the each others’ perspectives and learn to collaborate effectively. Gonzalez said students learned valuable lessons about the necessity of coordinating communications, time management, meeting project deadlines and budgeting resources. “It made me step out of my comfort zone and learn more about the whole construction and design process,” said civil engineering student Vid Micevic. 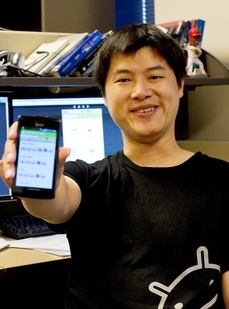 The competition “gave me a taste of what the industry is really like. Now I have a basis for knowing how I can improve and what things I need to become more familiar with,” said Daisy Herrera, a construction management student. “The public absolutely loved our house and told us they could see themselves living in it. People even made offers to purchase the house,” Herrera said. The public’s comments about the team’s SHADE structure during the Solar Decathlon event in California were overwhelmingly positive, said team mentors Fraser and Parrish. “Many people who toured the house said they would love to live in a home like this. They were asking if more SHADE homes were going to be produced,” Parrish said. ASU Solar Decathlon team members are hoping the exhibition of the house near downtown Phoenix leads in that direction.